Gorgeous and elegant chopsticks set. 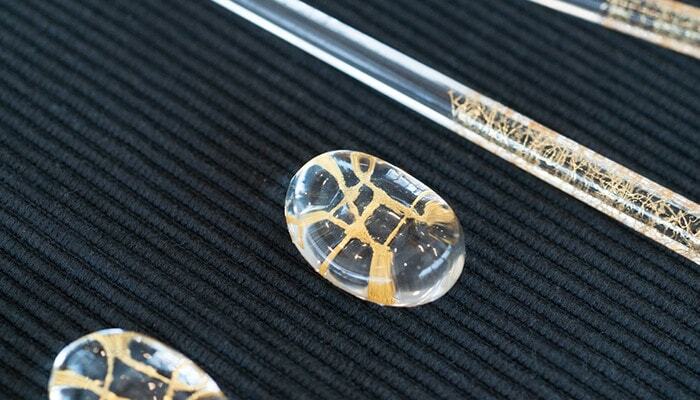 The gloss comes from kinpaku (gold leaf.) 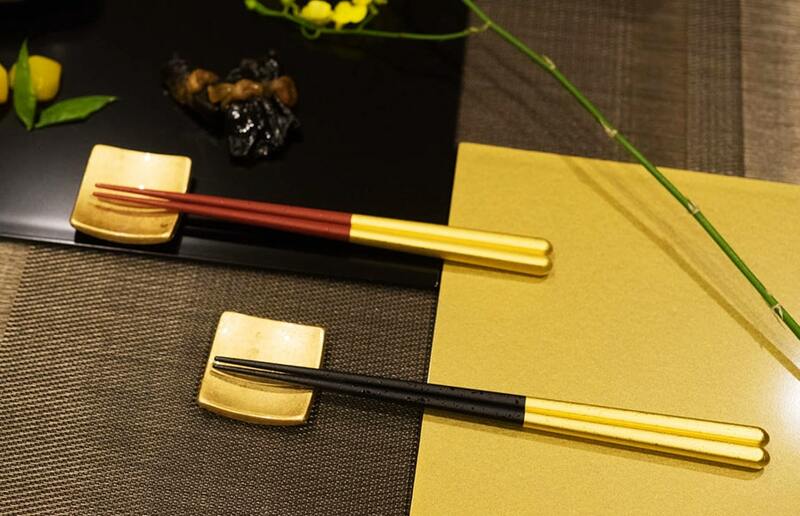 The pure shine of gold gives special atmosphere to the Japanese chopsticks. It is Hakuichi chopsticks. Hakuichi is famous for gold-leaf productions. 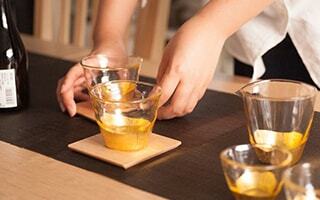 Now, the gold leaf items of Hakuichi have got attention from the world. So, the kinpaku goods would be great gifts as well. Hakuichi was established in 1975. 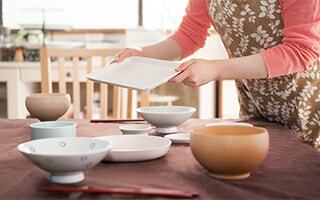 In Kanazawa city of Ishikawa prefecture, they produce high quality crafts, decoration of architecture, foods, or cosmetics with the gold leaf. To keep the tradition of Kanazawa gold leaf, Hakuichi continues to develop new categories with inherited soul of manufacturing. Hakuichi paid attention to “Hakuuchi-gami.” Hakuuchi-gami is a kind of Japanese papers that is used to produce kinpaku. 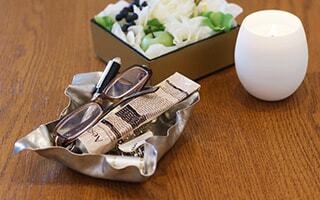 They won the patent for facial oil-blotting paper produced by a method of Hakuuchi-gami. In 2017, two of their products were selected as souvenir for the President of the United States. 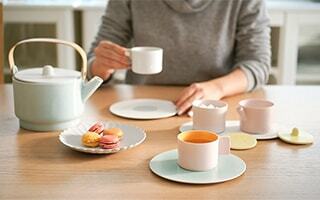 Hakuichi has exhibited their products in trade fairs of overseas. They continue to introduce the attractiveness of Kanazawa-haku to the world. 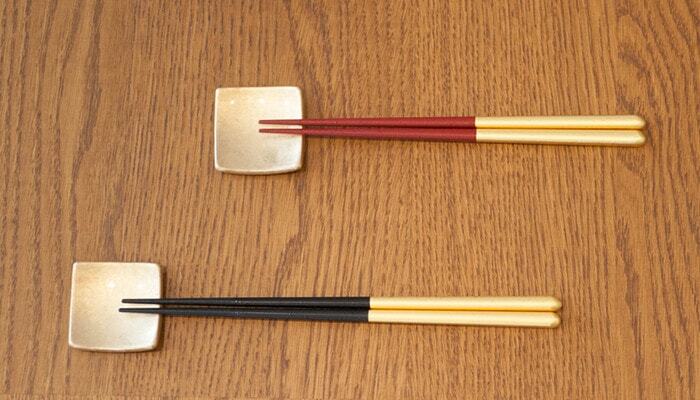 Hakuichi chopsticks are sets of Japanese chopsticks and chopstick rest. 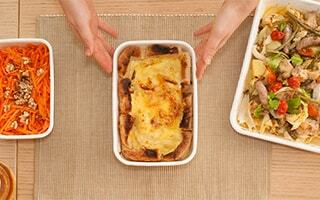 Modern design fits various types of cuisine. 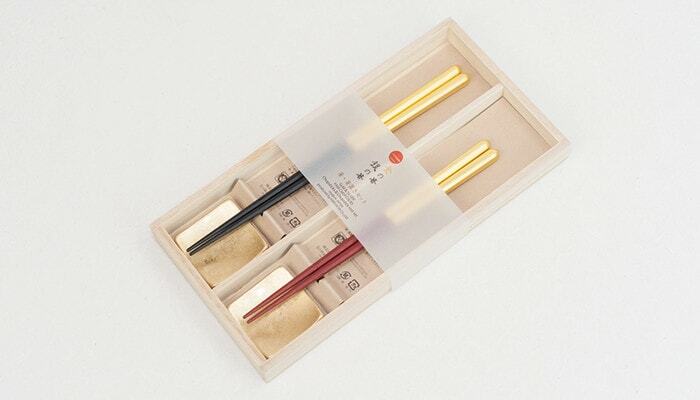 Elegant gold leaf chopsticks would be great gifts from Japan. 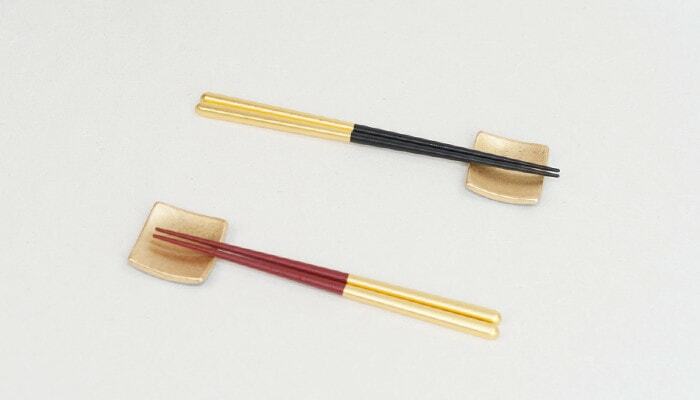 The Hakuichi chopsticks set “Shizuku” is a pair set of chopsticks and chopstick rests. Shizuku means the drop. 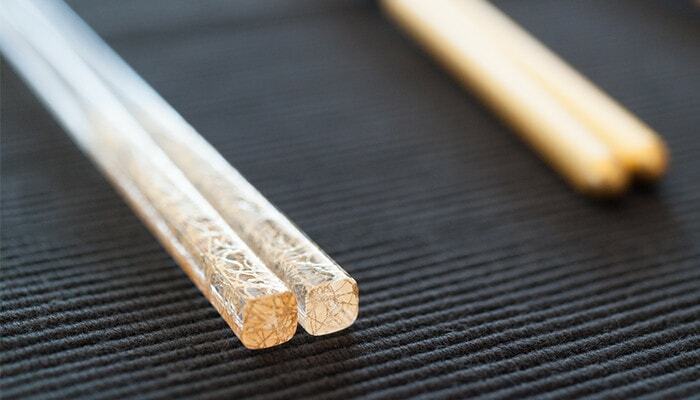 The upper side of chopsticks are gilded with Kanazawa gold leaf. Red chopsticks are M size, and black chopsticks are L size. 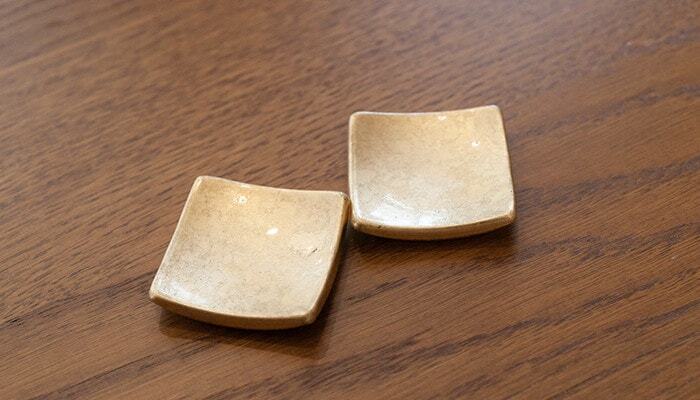 Chopstick rests have cute square form. The chopsticks are made of natural wood. Craftsmen shave chopstick one be one. Therefore, the Hakuichi chopsticks have Japanese beauty. 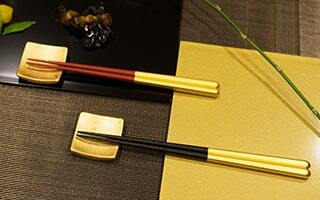 Shizuku chopsticks have mat texture of red and black with elegant gloss of gold leaf. If you look close, there are small drops on the surface of Hakuichi chopsticks. 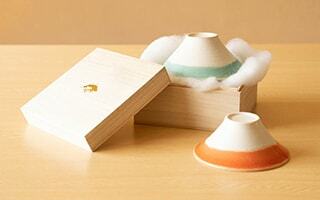 You can see the detailed beauty of Japanese traditional crafts. 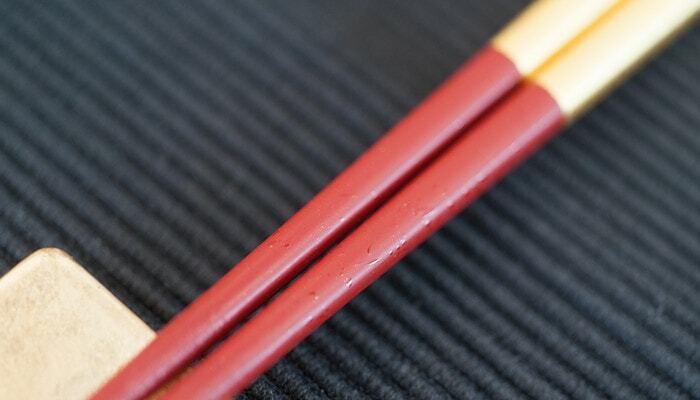 The edge of the chopsticks is finished into slightly rough texture. So, you can grab the food easily. Also, the hakuichi chopsticks have sharp form. In addition to the beauty, the chopsticks are very usable. Cute chopstick rests are larger than usual chopstick holders. 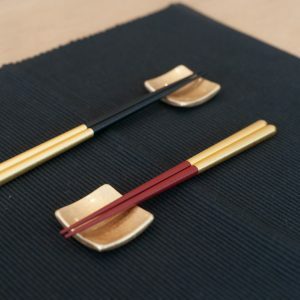 When you use the gold chopstick rests with the chopsticks, you can enjoy different gloss of kinpaku on your dinner table. 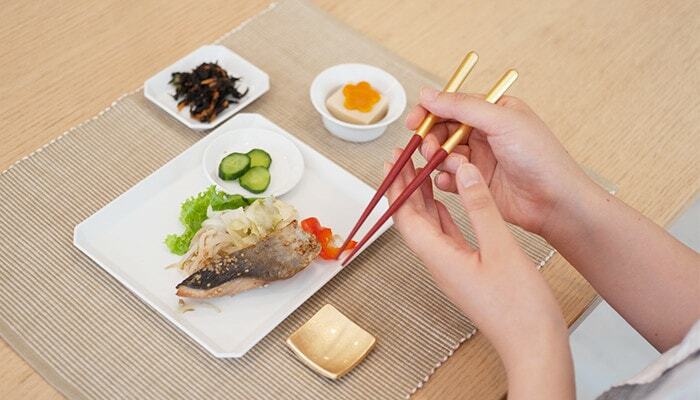 The chopstick rests are enough big to be used as tiny plates. You can put some seasonings on it. 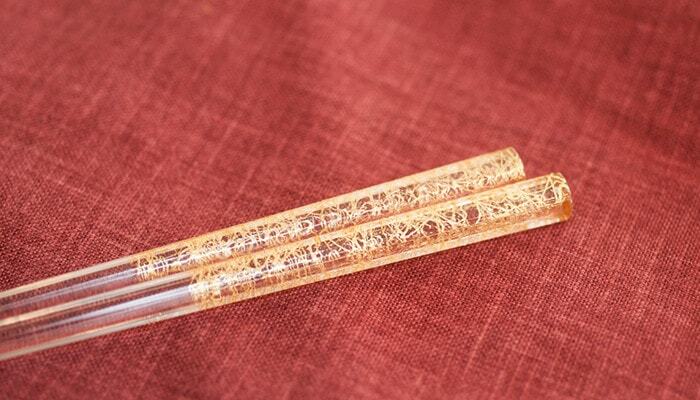 “Clear gold thread” of Hakuichi is a set of pair clear chopsticks and clear chopstick rests. 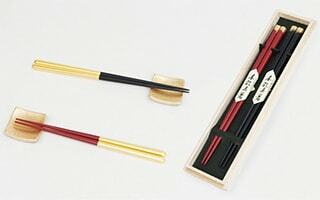 The upper side of the chopsticks have delicate decoration of gold thread. Of course, the gold threads are made of kinpaku. 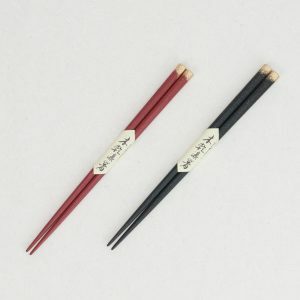 The chopsticks of “Clear gold thread” set is both L size. 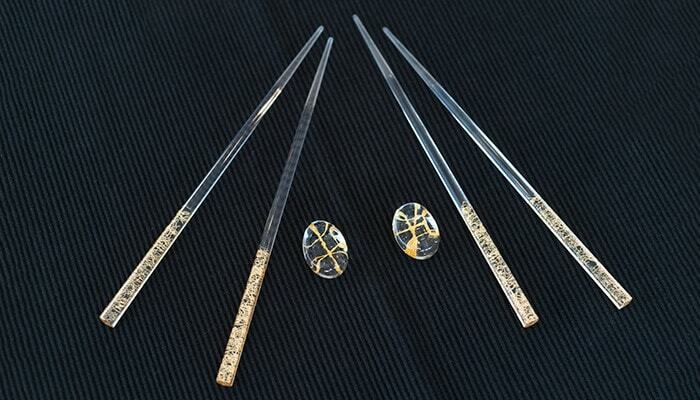 Clear Hakuichi chopsticks are made of resin. 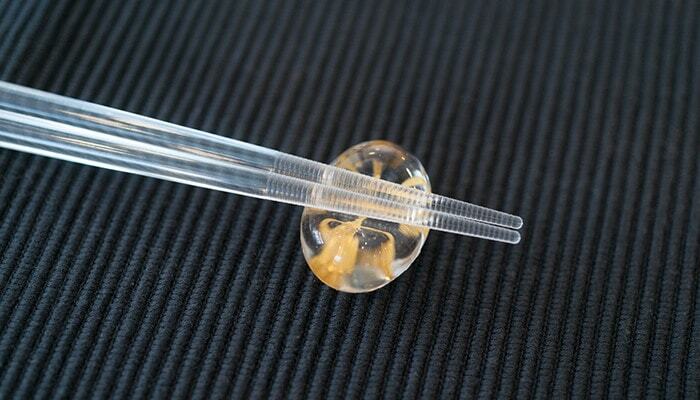 Chopstick rests are made of glasses. 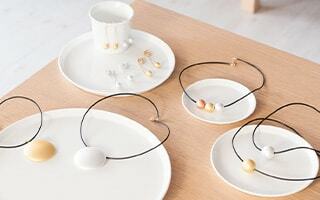 With a special skill, delicate gold threads are decorated. Elegant chopsticks have been especially popular for women. It is authentic Japanese chopsticks, but suit for pasta or any other cuisine. The edge of the Hakuichi chopsticks have nonslip processing. You can use the chopsticks easily. 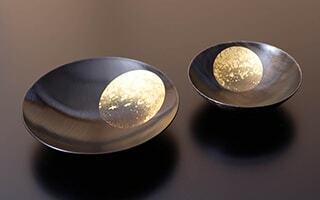 Chopstick rests have beautiful combination of thick glass and gold leaf. 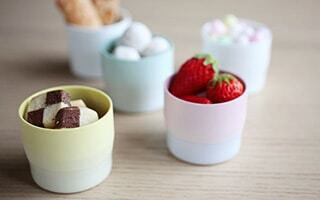 In addition to the use of chopstick holders, you can put it just as an interior item. Each chopstick and chopstick rest has different patterns of gold thread. 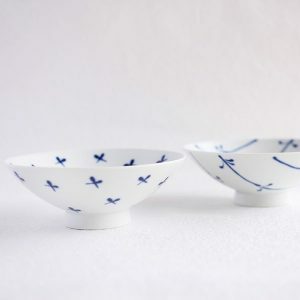 In Japan, thread is a motif of bond. You can send the only one item in the world to your dearest person. 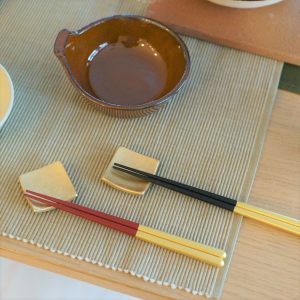 Hakuichi chopsticks sets are high-class items for daily use to special parties. How about adding elegant gloss of gold leaf in your dinner table? 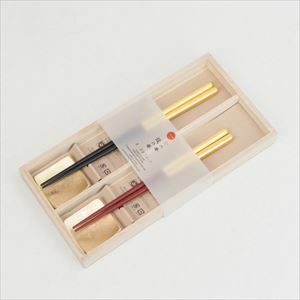 In addition, the gold leaf chopsticks would be great gift items as well. 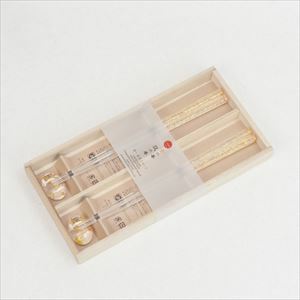 For wedding gifts, wedding anniversary gifts, or housewarming gifts, gorgeous chopsticks of Hakuichi are suitable. Also, Hakuichi chopsticks would be great souvenirs from Japan. The elegant and gorgeous gold leaf of Hakuichi chopsticks tell your messages of celebrating and appreciation.